The street view was captured on this January, 2014. The color of clock tower in the street view is different with the current one. 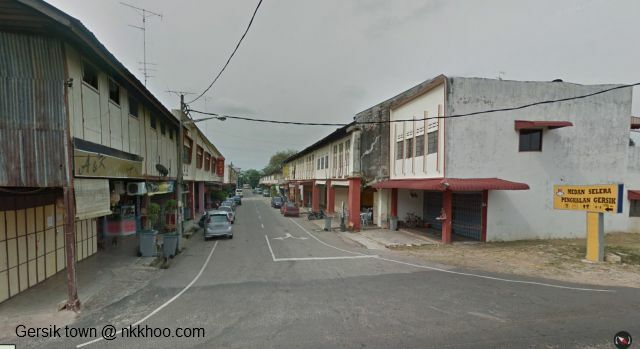 Tangkak, Bukit Gambir and small towns along the main road are also captured. 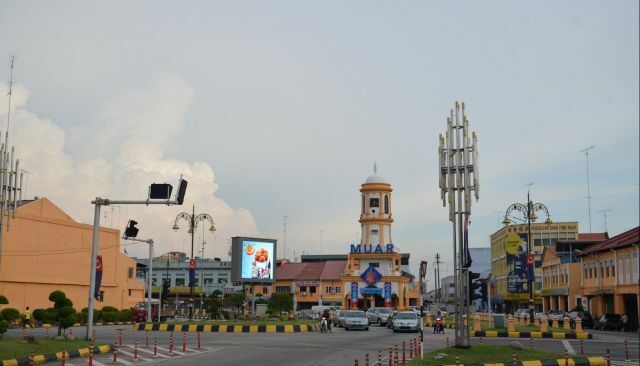 Click here for Muar city street view. The street in my tiny hometown is captured below. Click here for Gersik town street view. 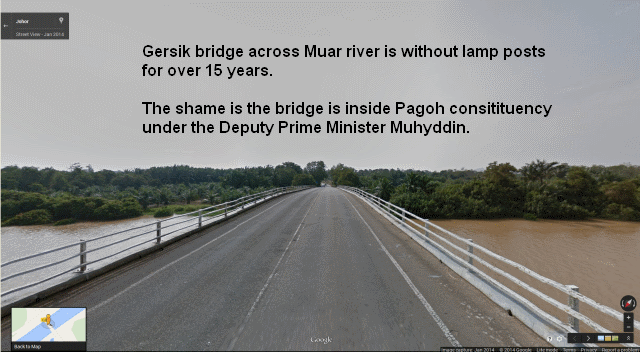 The bridge across Muar river in Gersik is without lamp posts for over 15 years. Click here for Gersik bridge street view.